NBA 3 on 3 Featuring Kobe Bryant had no right to be good. The artwork for the game’s cart and box looks goofy beyond belief (just look at Bryant’s expression in the picture below), the name is a bit rubbish, and it was only released in America. All these factors would seem to point towards only one outcome – the game is a failure and has been rightly forgotten. But no. Somehow NBA 3 on 3 Featuring Kobe Bryant is a polished basketball extravaganza of a game, and is accessible for people who don’t even have an interest in the sport (such as myself). 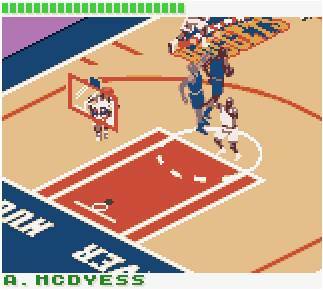 It starts off as many sportsmen sponsored titles do though, with a pixellated image of the sports celebrity in question and some lively backing music. All the options you’d expect are here as well – Pick Up (where you can play a one-off match), Season, Play-Offs and Rosters (where you can look at individual’s statistics and even create your own player). 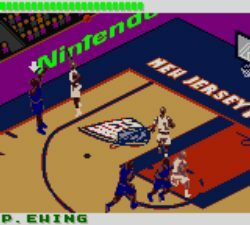 You can also choose from a huge number of teams, all with their own cool names and flashy logos, such as the Houston Rockets and the Sacramento Kings. It’s the actual basketball itself where the game impresses though. 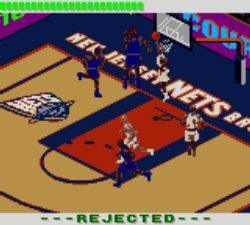 The small court is viewed from an isometric perspective, which could be a recipe for disaster, but actually works well- mainly because of the colourful but clear visuals. 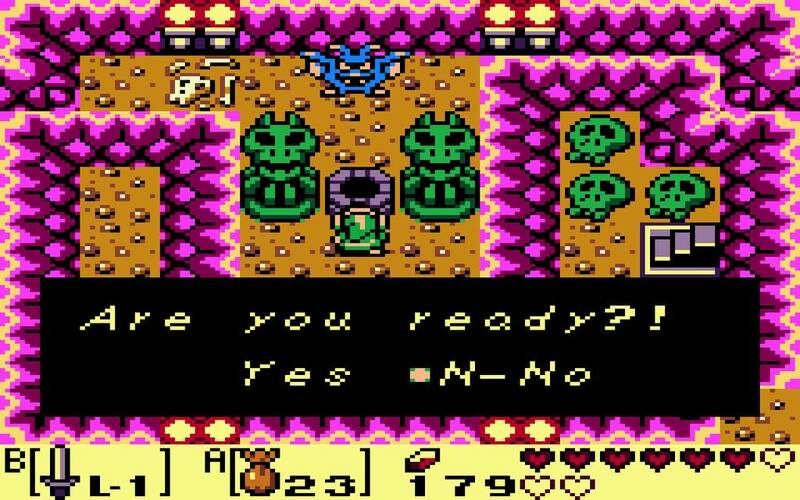 There is some ghosting on certain players when there’s a lot of action on screen, but generally the game is impressive in the visuals department, especially for a GBC title. Has Mr. Bryant just seen a ghost or something? Matters are helped further by the controls being simple to understand, but still offering enough depth to stop things from becoming boring. While attacking A is pass, B lets you pull off a fake shot, and A plus B lets you throw the ball. Defending is usually difficult in basketball games, but here it’s actually fairly easy to pick up if you’re patient. B allows you to swap your player, and A lets you swipe to attempt to regain the ball. 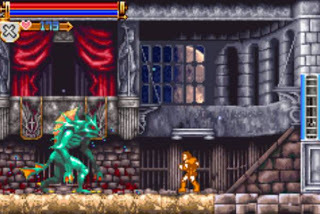 Doing this at the correct time is crucial, and thanks to the game’s clear graphics it’s easier to do than you’d expect. So the game’s well designed and fun to play, but it’s elevated even further by its excellent presentation. An example are the sound effects that you hear during games, such as when you dispossess someone of the ball, manage to score, or lose the ball yourself. They all sound like SFX from an Atari 2600 shoot-em-up, and are therefore brilliant. It helps stops the game from feeling too serious too. Little cutscenes when you make a slam dunk, start a game, and win a match all add noticeably to the experience as well. Overall, NBA 3 on 3 Featuring Kobe Bryant feels like it has had some real effort put into it, and it still holds up today. 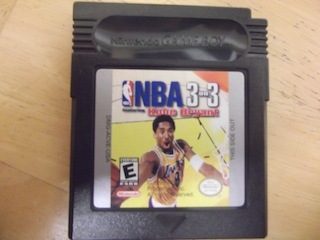 As complete a portable sports game as you’ll find, this is well worth investigating if you’re into basketball – even if you’ll have to import a copy from the US.